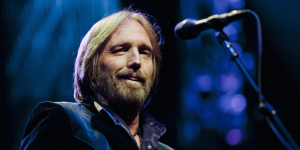 On a day we all awoke to the shock and sadness of what was unfolding in Vegas, trying to wrap our brains and hearts around an unthinkable sense of loss, another kick in the gut followed: we had lost Tom Petty. “Tom’s sudden passing is a stunning loss to everyone at Warner Bros. Records. Our thoughts and prayers are with Tom, his family, the Heartbreakers, and his millions of fans across the globe who loved him and his music. Tom’s portrait now graces the offices of Warner’s LA base, an outdoor mural for all to see, stopping and reflecting as they go about their days. Full Moon Fever included “Running Down a Dream”, one in countless titles that just make you go… “Aw man… love that one”… and immediately start singing the words. I mean…really…. really think about it. The volume of songs Tom Petty gifted us is staggering, giving a run for Clive Davis’s “Soundtrack of Our Lives “title”: Running Down A Dream, American Girl, Free Fallin’, I Won’t Back Down, Learning to Fly, A Face in the Crowd, You Wreck Me, Don’t Do Me Like That, The Waiting, Don’t Come Around Here No More, Here Comes My Girl, Mary Jane’s Last Dance, Even the Losers, Refugee, Breakdown… and so on and so on and so on. 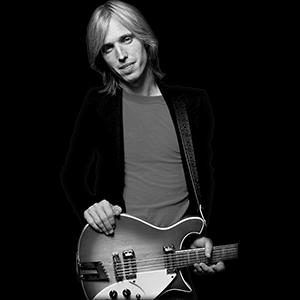 My goes out to all the people affected by the horrible shooting in Las Vegas, & to family,friends & fans of Tom Petty, of which I’m one. 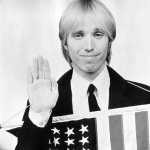 RIP Tom Petty. Thanks for all the great rockin’ music, hard to believe you’re gone. 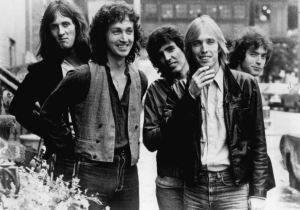 I can’t believe we have lost Tom Petty on this already horrible day. My love to his wife & children and the entire Heartbreaker family. No! 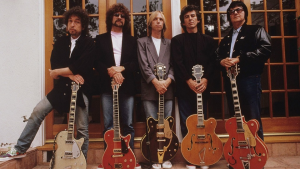 We have lost Tom Petty. From our opening act in the seventies to becoming a brilliant songwriter and performer I have loved his music. blasting tom on the tour bus tonight.